Apartment 528: Etsy Roundup: "It's Gonna Be a Bright, Bright Sunshiny Day"
Etsy Roundup: "It's Gonna Be a Bright, Bright Sunshiny Day"
In the past, I've posted a new Etsy Shop of the Week every Monday. While I love showing love to my favorite shops, I've discovered there are just too many talented designers to feature! So instead, I'm diving into the world of Etsy treasuries. Each Monday I'll post an Etsy Roundup showcasing my favorite handmade and vintage items. 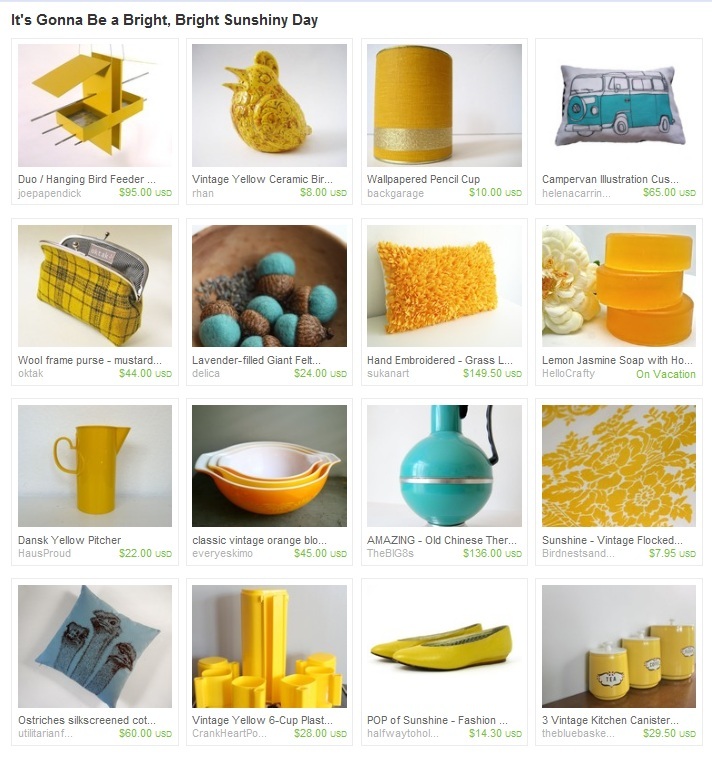 Go to Etsy to view my first treasury, "It's Gonna Be a Bright, Bright Sunshiny Day"